The OCT Team would like to announce registration for the April “New User Training” is now open. Information is available via the Virtual Training Calendar. Training is scheduled for April 9th at 2:00 pm ET. 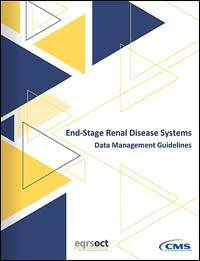 ESRD Systems Data Management Guidelines PDF and online ebook. 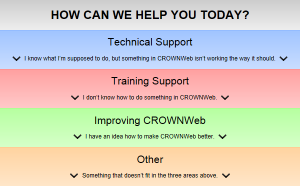 Visit the CROWNWeb Help Portal to ask your questions directly to the Help Desk or the OCT staff. Listed below are computer programs that are required to view documents on our site. If you cannot open a file on this site please download the program that supports the file. Please click here for information about the availability of auxiliary aids and services.